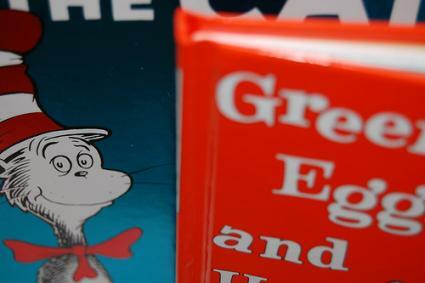 Classic children's books have the power to endure through time, remaining relevant even after decades in circulation. They appeal to generation after generation of kids because they tell stories with universal themes that are always worth reading. There are about a dozen titles listed below, but they still only scratch the surface of the overarching canon that makes up classic children's books. For more suggestions related to specific age groups, talk with a children's librarian. Dr. Seuss's beloved book resonates with kids of all ages, but it's particularly suitable for the picture-book crowd and early-elementary students. One Fish, Two Fish, Red Fish, Blue Fish and plenty more titles are available if your kid enjoys the wacky rhyme and rhythm of Seuss's verses. Contemporary classics, the Harry Potter books by J.K. Rowling are best suited for middle-grade readers because they delve into some fairly dark content as the series draws to a close. Odds are good that the collection of books will remain popular for many, many years into the future. What kid can't identify with a mischievous monkey? A husband-and-wife team, Margret Rey and H.A. Rey, penned the Curious George books in about 1940, and they've been a huge hit since then. Stuffed animals, DVDs, and movies have followed, so there's lots to occupy a young fan of these books. Goodnight Moon by Margaret Wise Brown has helped hundreds of kids fall asleep at night over the years. It's about as simple as a children's book could possibly be, but that simplicity is part of what makes it so enduring. It's a fantastic title for beginning readers who are just starting to sound out words, but it's also a great choice for preschoolers who can't read but enjoy just looking at pages. Peter Rabbit, Squirrel Nutkin, and other Beatrix Potter characters became well known after she had this first title published, and they're still popular with kids today. Potter also drew the illustrations for her stories, which are sure to appeal to kids who love animals but can't yet read by themselves. Meant for elementary-school kids, Tales of a Fourth Grade Nothing was Judy Blume's introduction of Fudge, a character whom every older sibling loves to hate. Fudge is the younger brother of Peter, the novel's main character, and readers won't be able to help turning page after page detailing the two brothers' antics. 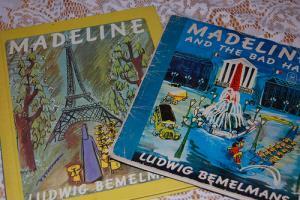 Written by Ludwig Bemelmans, the Madeline books tell of a redheaded French schoolgirl who travels through the streets of Paris with her schoolmates and teacher. When Madeline gets appendicitis in the first book, young readers will be glued to the story to discover what happens to her in the end. Mary Norton's classic tale of a tiny family that lives underneath the floorboards of a regular-sized family's house in England is ideal for upper-elementary and middle-school kids who go for whimsical, fantastic stories. The book really picks up after one of the Borrowers gets glimpsed by a human in the house. Almost every elementary-school girl knows Pippi, the tousle-haired, pigtailed, redheaded heroine of the Pippi Longstocking series by Swedish author Astrid Lindgren. Kids love Pippi because although she's just a kid, she lives alone and makes her own decisions, which are often quite wacky. Madeleine L'Engle's A Wrinkle in Time was first released in the early 1960s, when it won the Newbery Medal. It combines mystery, science fiction, adventure, and action, many kids' favorite genres. Meg Murray, the book's main character, goes in search of her father when he disappears during the course of a highly unusual work project. E.L. Konigsburg's From the Mixed-up Files of Mrs. Basil E. Frankweiler is another 1960s Newbery Medal winner. It tells the story of two siblings who leave home in search of adventure and find it at New York City's Metropolitan Museum of Art, where they hide out for several weeks. Although the "classic" connotation brings to mind older books, one of the best things about children's literature is that fantastic new books are being released all the time that have the potential to become classics in their own right. Favorite titles that have mass appeal and universal themes are certain to have an impact, but you can find lesser-known children's books that have personal meaning.